The way a spiral CFL SHOULD be! 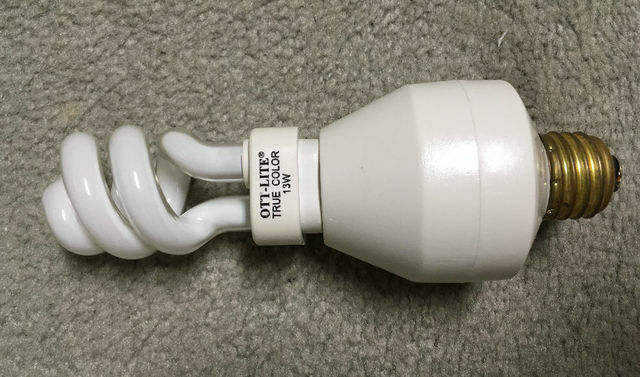 A Habitat find - this is electrically and mechanically compatible with a PL-S 13w lamp - same base, but uses a spiral tube instead of the usual U-tube. Unlike the Ott PL lamps, it is 6500K and doesn't appear to have as good color rendering. Very blink-happy too - no boring instant starting or EOL ballast-burning behavior here! Absolutely NO lamp specs on the package other than the wattage. Reminds me of this wider 13w version in my collection. Interesting! It would fit a lot of places a PL13 wouldn't, too.